I’m starting to get organized for the San Francisco trip in April. I had a phone call last weekend from Elke (Sandra’s assistant) about the workshop, wondering what questions I might have. I told her I was determined to come home with a perfectly fitting pair of pants! In the meantime, the Saturday night we’re having dinner at Sandra’s home and apparently it’s a “dress up” affair – not too dressy, but not jeans, either. I have that lovely silk embroidered shirt I made in July from the fabric my friend Mary Ann gave me. And I have a black silk crepe top. All I needed was a pair of black silk pants! I’ve had 5 yards of black silk in my stash for 20+ years – my sister Donna brought it for me from Thailand – I’d just never used it. The silk was a light weight shantung so I thought the pants should be lined. 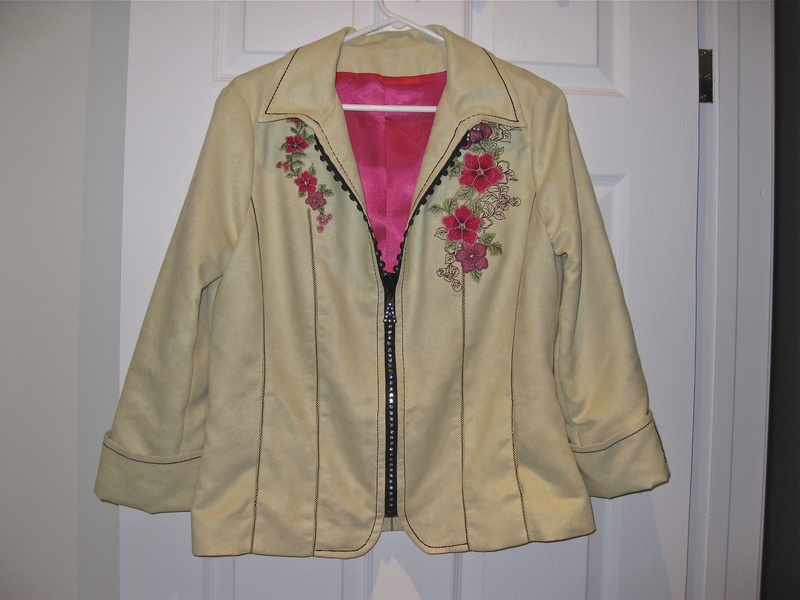 It just so happened I had some hot pink silk lining fabric which I’d bought a couple of years ago in Florida to line my Faux Suede Appliqué jacket. 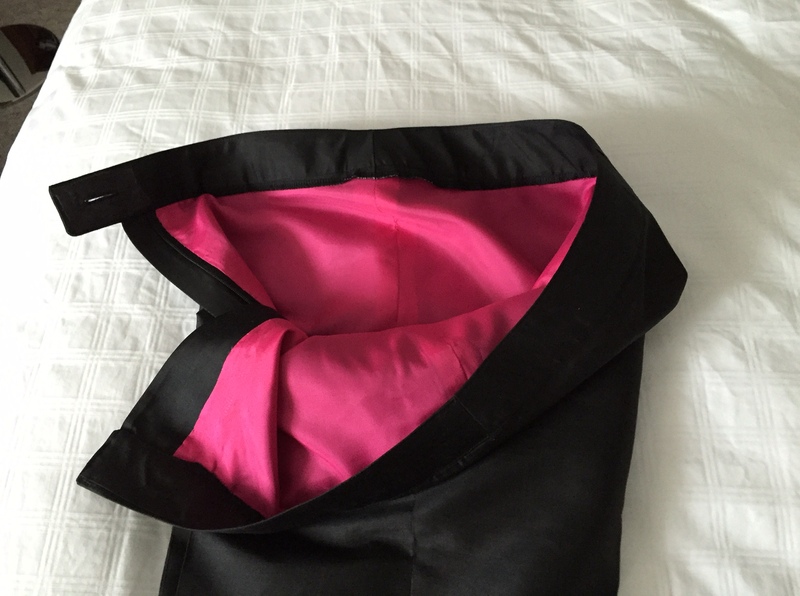 However, I found a better lining fabric, used it on the jacket, and put this lining fabric away. This seemed a good use for it – I had enough for the pants (with a bit left over for lining bags, I imagine). Nobody will ever see the lining, but I’ll know it’s there and having it makes the pants drape nicely. 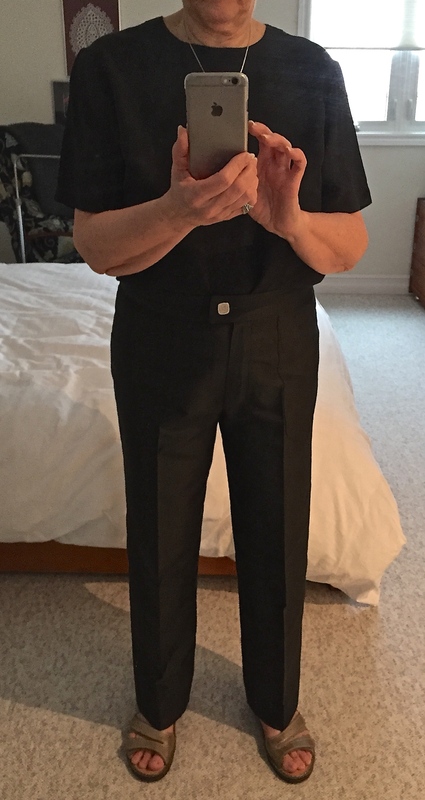 I used the modified pattern from the palazzo pants (don’t ask my why I didn’t use the Eureka pattern – I just didn’t think of it – I think I was originally thinking of a wider leg than I actually made). All in all I’d say these pants turned out rather well. That notwithstanding, I know I’m still going to learn a lot about fitting pants. And in all likelihood I might wear these pants 2-3 times beyond this one occasion. 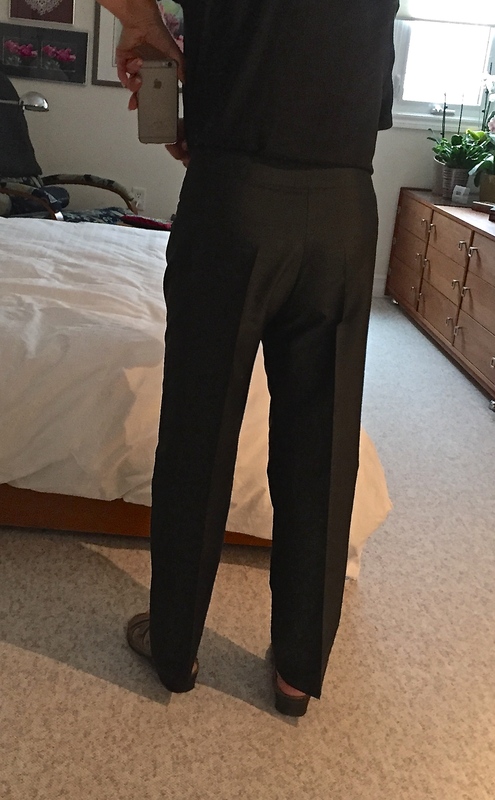 So I wasn’t worried about a lot of tailoring detail – just made sure I had deep pockets on the front so I can carry my phone!